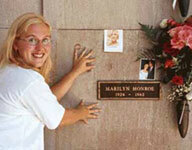 I have had the pleasure of going on several Marilyn trips. 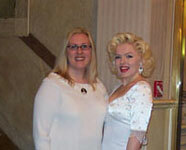 If you are considering attending a Marilyn event in the future I highly recommend you go for it! Maybe someday I will even see you there! 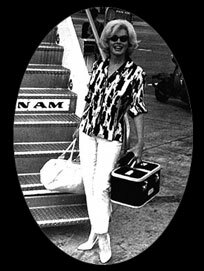 Planning a trip to LA? 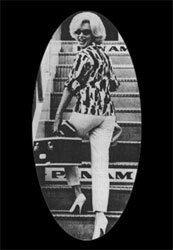 Interested in seeing some Marilyn sites? 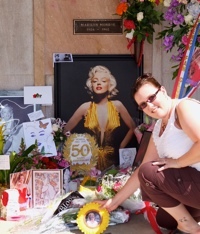 I highly recommend the Marilyn's Hollywood Tour. 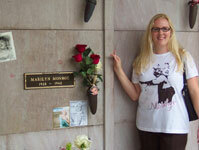 Looking for Marilyn locations to visit in New York? 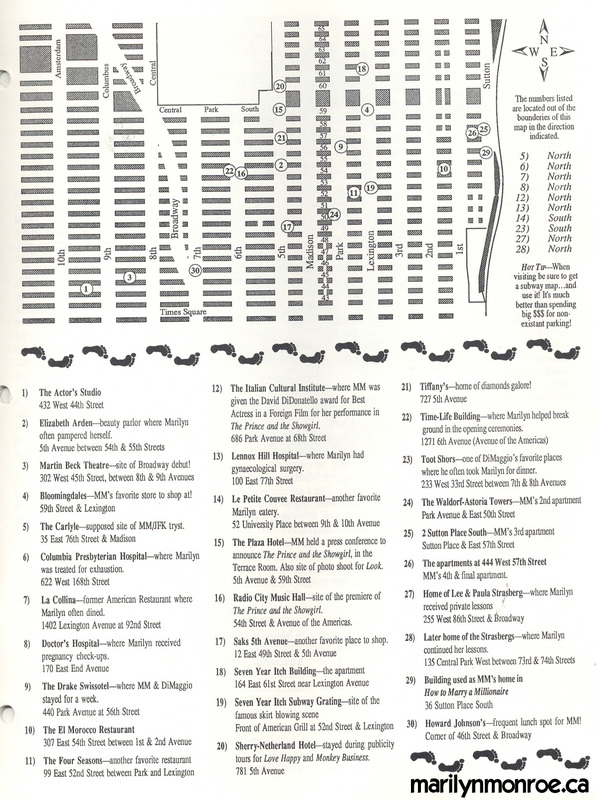 Here is a MAP for you to download. Please keep in mind this is not current and some locations may no longer exist.